The first China International Import Expo (CIIE) indicates China is opening up its gates to the outside world, Mohammed Sawah, head of Syrian Union of Exporters, told Xinhua in a recent interview. The expo, which opened on Monday in Shanghai and will last till Saturday, has attracted over 400,000 purchasers and 3,600 companies from across the globe, including Syria. "The expo reflects a unique vision by China as it has for decades been an exporter, and today China, with its massive size, is opening up to the world as an importer also and this is a big step forward," Sawah said. He said the prospects of the Chinese market as an importer are massive and foreign companies are facing a great opportunity to showcase and promote their products to China's humongous market. Sawah believed that the Chinese economy is a school that provides lessons for many other countries to learn how to improve their economies and the well-being of their people. 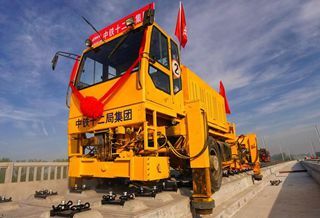 "China, with its openness to the world, is proving that it is an open economy that not only searches for its own interests but shares benefits with the global economy," he said. China's opening-up policy will have positive impact on the world's economy, especially as it seeks the win-win cooperation for all and China's policies are based on respecting other nations, Sawah noted. The Syrian official said Syria, a war-torn country seeking reconstruction, is taking part in the import expo in Shanghai by showcasing several products, mainly the olive oil, renowned as one of the best in the world. Sawah added that the Syrian government attaches great importance to China's participation in the reconstruction process in Syria because China has great capabilities and expertise in this field.